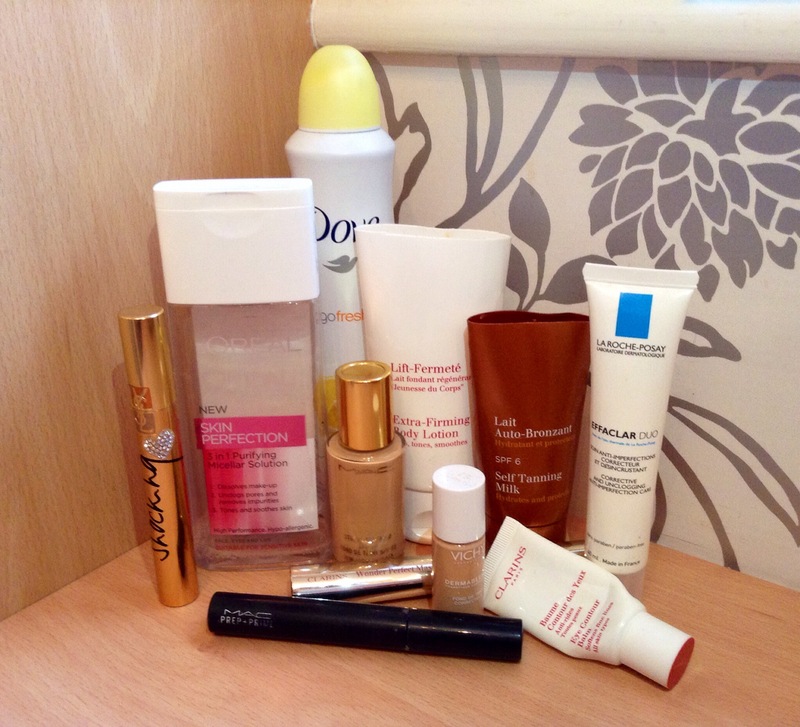 Product empties #1 | The Beauty Spot – The Beauty Spot. Dove Go Fresh Deodorant This is the grapefruit and lemongrass scent which I really like, it’s citrusy fresh with a slight powdery note underneath. Some powdery deodorants really get me in the back of throat and make me cough, not great at 6.30am, but this is just a lovely soft clean scent. I tend to chop and change the scents of this deodorant range as I find them really pretty. I’ve had a couple of white mark episodes, which is annoying, but in general I like this. I will repurchase this or a different scent in the range, however I am looking to try the Sanex Zero range as I’ve heard that is much better for your body, health wise. Clarins Extra Firming Body Lotion At 25 you may think I’m too young to be using a firming body lotion, but skin can lose firmness in many ways other than age; bad diet, weight loss and using very hot water in the bath and shower. I was able to try this because I worked for the company for many years and was lucky enough to be able to try the products during that time. I really rate this, I love smell of it and the texture. It also comes in a much more buttery cream formula which was too much for my skin but the lotion is perfect for me. 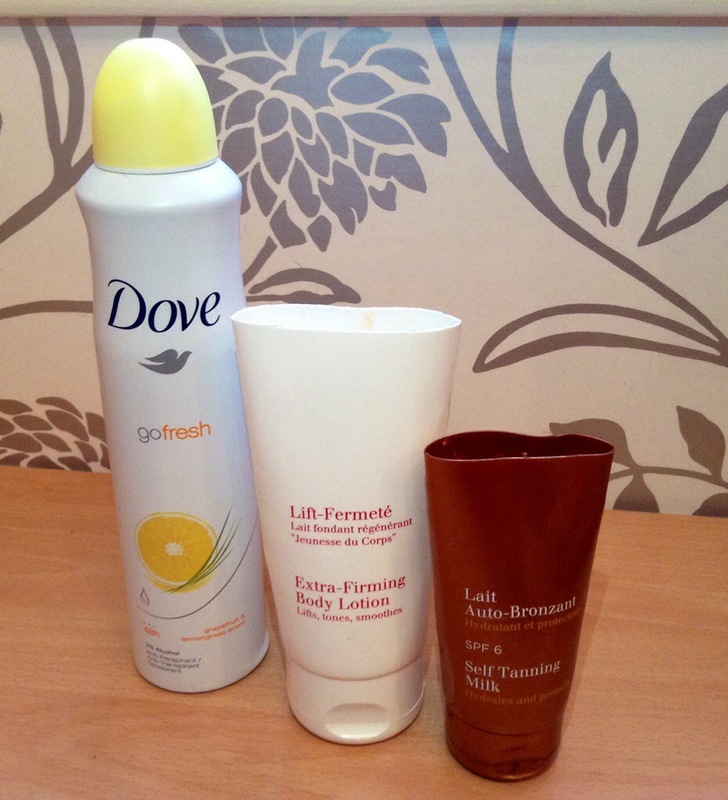 I’m not sure whether I can say the lotion firmed my skin, I didn’t take comparison pictures, but when I used it over the summer months I definitely felt much more confident in shorts and skirts when I had used this! I have so many body lotions that I don’t think I would rush to repurchase this just yet, but if you wanted a treat for your body that would do good as well as feel good, this would be great! Clarins Self Tanning Milk My absolute all time favourite self tan is Sienna X, but I loved using this as an inbetween tan, or as a second layer top up. It doesn’t have a ‘guide’ colour so no worries about dirty sheets, and not an overly powerful ‘tan’ smell. Alternatively I used this as a light ‘winter’ self tan because the colour is more natural for the cold winter months when you just want a slight glow. I would repurchase this, but I would use it sparingly as I feel the tube is fairly small for use over the whole body. Loreal Skin Perfection micellar water The first micellar water I tried, (am I the ONLY person not to have tried Bioderma?!) and I was impressed. I really liked the product itself, effective and very gentle on face and eyes with a pleasant scent. The only thing that annoyed me with this was the lid! Every time I used it I ended up spilling extra product onto myself, the bedsheets, my vanity, anything. Things like that annoy me so I probably won’t repurchase this one, which is a shame because the actual product is really good! La Roche Posay Effaclar Duo I wanted to try this after seeing it on Ruth Crilly’s channel (apologies I can’t find the link!) So because she was talking about breakouts and acne (both of which I get) I thought I’d give it a try. Now I can’t say it has changed my life, because it hasn’t, my skin is very much work in progress (more detailed post coming soon), but it did reduce some of the redness I have. I didn’t feel the texture worked for me. Although I get breakouts, my skin is not oily. This is a fairly light textured product so using it alone was not hydrating enough for me. I chose not to use anything else with it as I was trying to keep my routine fairly simple at the time, but it just didn’t work to the extent I was expecting after seeing such amazing reviews of it. It may work for small blemishes but I’m sure you guys will understand why this didn’t necessarily work for me when I post my in depth skin ‘chat’! Clarins Eye Contour Balm I liked to use this at night because it’s lovely and hydrating for overnight use. I believe the earlier you start using products like this, the better protected your skin and eyes will be to early ageing factors like sun, pollution and diet. This is the first eye cream I’ve used religiously and it has lasted me about 10 months! So in terms of value for money I’d say its great and I really trust Clarins products too. You never really know if using an early signs of ageing product works until you’ve gone past that age, but I would be happy to use this product again and I probably would splash out for a good eye cream as it’s that area that shows ageing first. MAC Studio Fix Fluid Foundation. My first foray into MAC products. I have to say my first impression wasn’t great. I didn’t (and don’t) like the smell and I didn’t feel that the colour was right for me. It was also sticking to any slightly dry areas I had on my skin and as the day wore on it almost separated on my forehead (yuk!). I stopped using it for a long time and then for some reason I picked it up again one day and began to like it. I think I had used a different brush to apply and at that point my skin was in much better condition. As for the colour, I can’t answer why I suddenly liked it but I started using it on an almost daily basis. I would consider purchasing this again, however there are a number of medium/full coverage foundations that I want to try before I go back to this one. YSL False Lash Effect Shocking Mascara I used the original version of this mascara when I was about 16 and loved it, so for nostalgic reasons, I picked it up again! At first I didn’t like how wet it was as it slightly clumped my lashes together. However, the more I used it and as it slightly dried out it seemed to work much better in building volume for me. It’s a real black black so gives a lot of depth to your eyes regardless of what look you have done. I would use the next mascara over this one, given the choice, especially as this one is slightly more expensive. Absolutely love the packaging of this one though! Think I will keep it just for display! 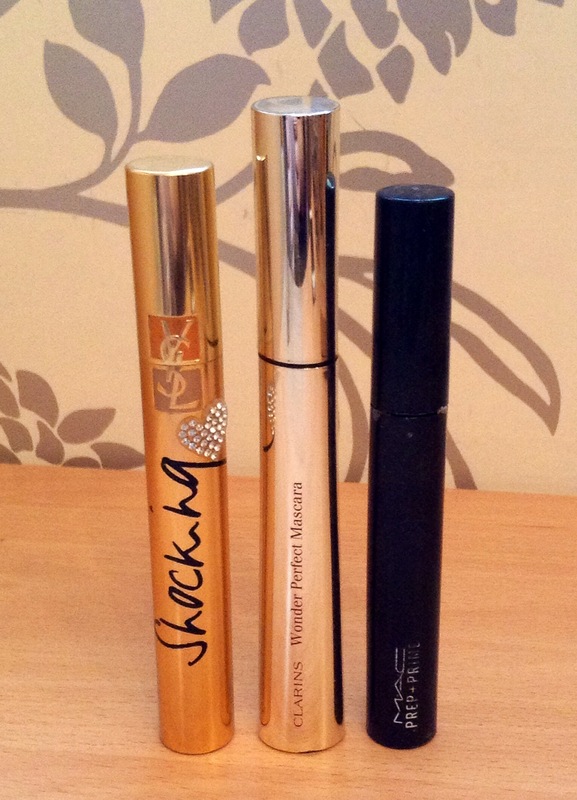 Clarins Wonder Volume Mascara Believe it or not, this is my favourite ever mascara. For years I would always go on about Lancôme Hypnose, but for me this is the daddy! I use this as a daily mascara and on top of a white mascara for a more built up look for evening. It’s a real glossy black when it comes out of the tube and gives so much depth and definition to your eyes when worn with or without liner. I think Clarins make up has been slightly overlook over the years, but the products I have used have been some of the best I’ve tried. I think the fact that I still purchase this product (among others) even after leaving the company, says a lot about the quality and the results they give. MAC Prep and Prime Mascara base Previous to this I had used Lancôme Cils Booster as a mascara building base. I wanted to give this a try as it was still high end, but cheaper than the Lancôme one. It did the job for me, but I do feel the Lancôme one coats the lashes better and I will probably reach for that one more in the future. Sorry that has ended up being a longer than expected post! Note to self: don’t leave it so long before doing an Empties post again! Anyway guys, hope you enjoyed it, I am going to be doing a few posts about my skin in the near future so I can show you what I’m dealing with! Please comment if you’ve tried any of these products and let me know your thoughts on them! 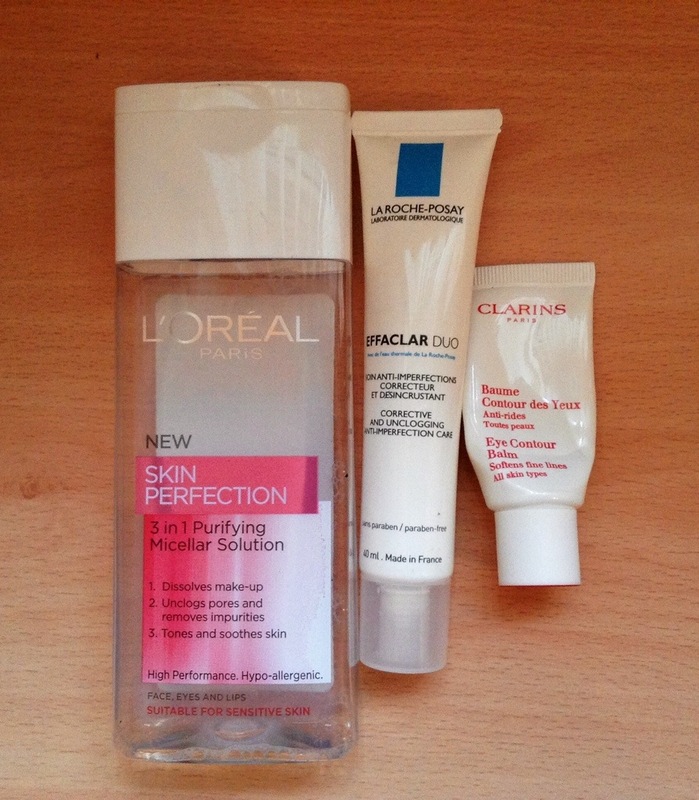 Pingback: Review: Loreal Paris Micellar Solution and Eye Makeup Remover | The Beauty Spot. Pingback: Cleanser: The Current Crop | The Beauty Spot. I really want to try L’Oreal’s Skin Perfection, I’ve heard a lot about it and it’s so cheap compared to Bioderma. The product itself was great, I just got really annoyed with the wastage. I’ve been using an Avene one recently that I much prefer. Although, I guess you could decant the Loreal if it annoyed you as much as me! It is a really good price!